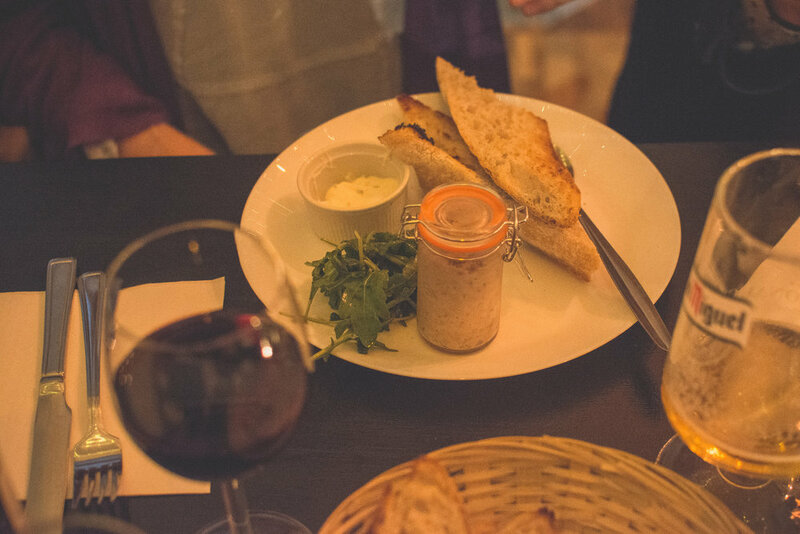 La Guinguette is Bristol’s new Paris style bistrot. Run by Jérôme, Roxane & Ophélie, La Guinguette serves cheese, wines and lots of simple & delicious dishes! Husband and wife Roxane and Jérôme and their best friend Ophélie wanted to bring the best of simple and tasty French food to Bristol. In a relaxed atmosphere, the trio serves eggs mayonnaise, steak frites, pissaladière (a type of pizza), cheese and cold meat platters, rillettes and Croque Monsieurs as well as the winter showstopper: melted raclette cheese. Roxane & Jérôme Frauche, Ophélie Rupp. Roxane, Jérôme and Ophélie moved from Paris to Bristol and wanted to bring with them the taste of a traditional French bistrot. Having worked in the restaurant trade for years, they know that good food, simplicity and a welcoming atmosphere are the key elements in the recipe for a great restaurant. They have created a very Parisian experience in the heart of Bristol that reflects the best of what their favourite places in the French capital have to offer. La Guinguette is somewhere between a bar and a restaurant. 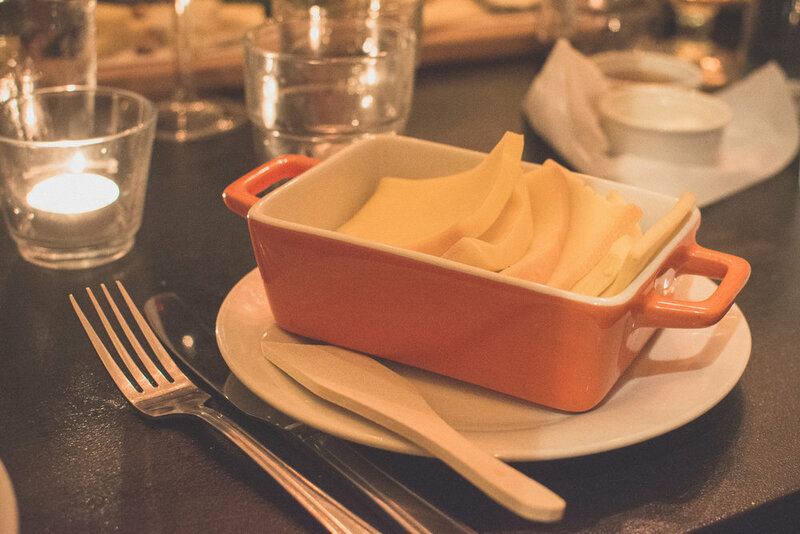 It’s a place where you can meet for a drink after work, or a cheese feast with friends in a relaxed atmosphere. 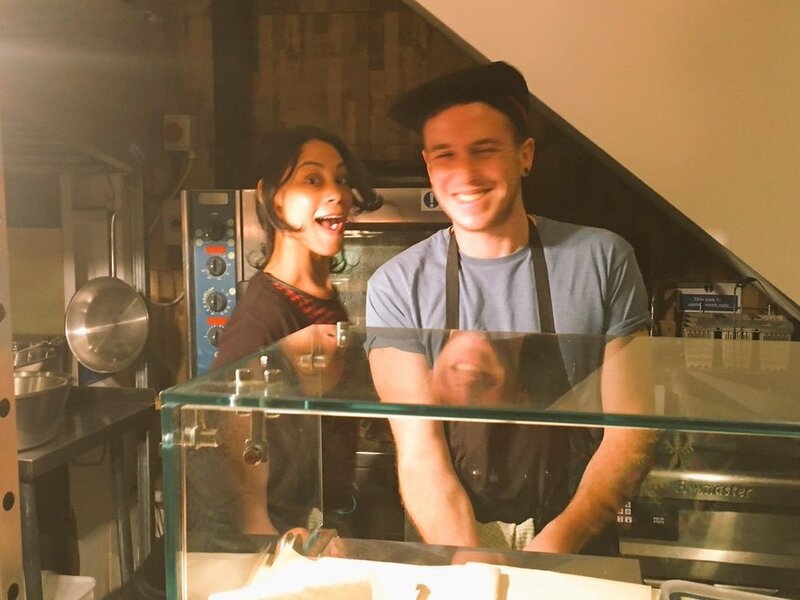 Discover La Guinguette’s menu here and come and say ‘bonjour’ to the trio! 243 Cheltenham road BS6 5QP. Please note that we will be closed between 14 January and 22 January. Whether you’re planning a romantic meal for two or a feast for 10, give us a ring or send us a message and we’ll make sure you have the perfect time!